• Familial neurodegenerative conditions causing parkinsonism. Primary parkinsonism is due to idiopathic Parkinson’s disease. It includes sporadic and familial cases and accounts for about 80% of parkinsonism cases. This form of parkinsonism, can be caused by a variety of issues. These include drug induced, infections, toxins, vascular, trauma to brain, hemi-atrophy hemi-parkinsonism, brain tumors, normal pressure hydrocephalus, hypoxia, and metabolic dysfunction. 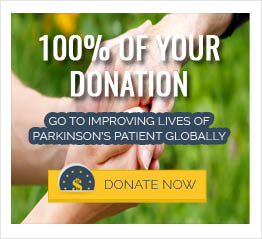 Most experts include Parkinson plus conditions such as progressive supranuclear palsy, multiple system atrophy, and corticobasal degeneration in atypical parkinsonism. The response of these conditions to the dopaminergic medications is usually poor. These cases of parkinsonism may be difficult to distinguish from idiopathic Parkinson’s disease especially early in the course the disease. Arguably the most prominent of type of atypical parkinsonism—or Parkinson plus conditions—is multiple system atrophy (MSA), whose subtypes include: MSA-A, MSA-C, and MSA-P. As they present similar to Parkinson’s disease, it is important to differentiate them from Parkinson’s disease as well as from each other. On a histological level, MSA exhibits glial cytoplasmic inclusions on biopsy rather than the Lewy bodies seen in Parkinson’s disease. MSA-A (previously Shy-Drager Syndrome) presents: without tremor, with poor response to levodopa, and symptoms which progress quickly. MSA-A, additionally, has a dramatically impaired ANS in comparison to Parkinson’s disease, with pronounced urinary incontinence and orthostatic hypotension. If atrophy extends beyond the substantia nigra to the cerebellum, the condition is classified as MSA-C (previously Sporadic olivopontocerebellar atrophy) and presents with marked tremor in both hands, an incomprehensible voice, and loss of balance—known as ataxia. Unlike the other subtypes, MSA-P (previously known as striato-nigral degeneration) is a subtle process without overt symptoms distinguishing it from Parkinson’s disease. This makes a diagnosis difficult. iii. levodopa, typically, elicits no response in these patients. PSP is characterised by difficulty initiating movement of the eyes vertically, and later horizontally, due to progressive degeneration in neurons which control the muscles of eye movement. When these supranuclear centers become paralyzed early, a diagnosis of PSP is relatively easy to make, as they lack the normal opticokinetic nystagmus response (wherein the eye will engage in a rhythmic beating while tracking a moving object). If the degeneration of these areas, however, happens late in the course of the disease, PSP can be difficult to differentiate from Parkinson’s disease. CBD begins with imbalance and increased falls. CBD can start on either side of the body (but typically presents on the right side) with inflexibility of the hand and/or limb, and eventually progresses to the left side. Two deficits often experienced by CBD patients—helping differentiate it from both Parkinson’s disease and PSP—are gegenhalten and disconnect syndrome. Gegenhalten is an increased rigidity of the affected hand upon movement. In disconnect syndrome (alien hand syndrome) the affected hand is neither weakened, nor its movements slowed, but rather it moves involuntarily without the patient’s control. This occurs unilaterally in the affected hand until the disease progresses to the other side and affects both hands.